At the Ludoteca we are attending children twice per week, to give them school reinforcement. They are always very enthusiastic and happy to improve their grades. We received a copy of their mid-term evaluations and all of our kids got very good grades. Seven of them are among the top students of their schools and their moms are very happy about it. The construction of the new Ludoteca goes on. With the support of mothers, volunteers and promoters, we have carried out several tasks on Saturdays, to move forward with this beautiful project. The hardest task was bringing building materials to the new site, as area is very rugged and we are half way up the mountain. However, this has not prevented us from carrying on. We know that to succeed we have to work as a team and that this effort will always be our greatest achievement. We have received good news from the mothers who participated in our workshops last year. Several of them have obtained positions as leaders in their communities and have supported us in the the construction of the new Ludoteca. We greatly appreciate the effort and commitment of these great women for the good of their community. This October we will celebrate our ninth anniversary and we will organize a gathering for the family of Jugando Aprendo. We have planted a tree and a small garden to start making the new space welcoming. AGTR-La Casa de Panchita was on TV! Today we would like to share with you a ten-minute tv report that "La Otra Ruta" (The Other Route) has made about our coallegue, Sofía Mauricio, which was broadcasted several times on RPP TV, one of Peru's main news agencies and a channel with national coverage. We invite you to watch the report through the link included in this message. The program is in Spanish, but even so it is possible to appreciate the work of Sofia at La Casa de Panchita. We would be very happy if you could dedicate a few minutes to watching the video, to learn more about our Casa... a home that remains always open thanks to your support and encouragement. “When I was 9, I came to Lima from a remote community, very up high in the Andes, looking for better living conditions. I started working in a house. I felt invisible and felt that everything around me turned dark. I lived a nightmare in the houses where I worked: I experienced harassment and abuse. I don't even want to remember... I was just a girl, I was afraid, I didn’t know what to do and I wanted to scream all the time... but I held on. I didn’t know who to tell what was happening to me, or if they would believe me. I also felt guilty, I had that feeling entangled in me and I felt trapped. I thought about going to talk to a policeman. But the policeman would have told me to leave the house… and where could he go? I was a girl, Andean, Quechua-speaker. I would have ended up living on the street. 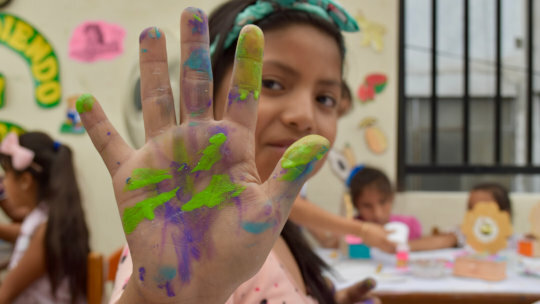 This is the story of María (we changed her name and her photo to protect her privacy) and many other girls and women who start working as child domestic laborers. 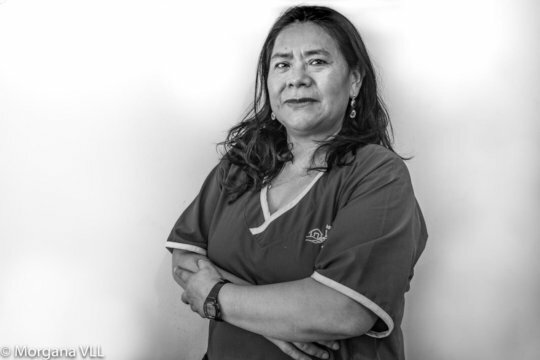 For them, it is very important that La Casa de Panchita, stays open, as it is a safe place where they can share their experience, learn about the rights of domestic workers and gain the strength to fight for them. Thanks to you, La Casa de Panchita continues to provide services to girls and women who need them! Thank you!